Yet, I’m always amazed when we (self, included) are so “woke” and “pro-Black”, that we refuse to celebrate and support black-owned businesses. Like FOR REAL support them. Like IN REAL LIFE- not on social media – support them. We sit back and write or post about the overwhelming racism which includes having the police called on us in white-owned and operated businesses/schools/pools, police brutality, children being snatched from parents at the border, and politicians finally removing their racially muted masks. But when Shameka or Travell makes posts about their business venture, no one in the black community REALLY responds. There are hardly any ‘likes’ or ‘shares’, or recommendations. They won’t even say “I’m not interested or the market for your product, but I’ll pass it on”. But we’ll go to the Waffle House, Holt Renfrew (Tory Lanez), or Starbucks and slap down our money. It’s baffling that we don’t seem to understand that we control over 1 trillion dollars- TRILLION – in spending power. Please don’t misconstrue what I’m saying. I’m not saying that a new business will survive or grow on social media alone –although it can give it a huge boost in the right direction. What I’m saying is just as we say, “when whites don’t speak against racist behavior, they are complicit”, then it’s safe to say, “when we don’t spread the news and support black-owned businesses, we are almost as guilty as those who treat us like crap in their white-owned companies”. I say that because, how can we get upset at these instances and yet go right back to giving them our money? That’s where our guilt lies and we can change that. So… let’s get serious and redistribute our dollars and rebuild Black Wall Street. That is the only way we’ll be able to push back and make our truth to power be heard by those who chose not to hear. I’m making my own personal vow to do the same by being more mindful of where I shop. Readers, please leave a comment with black-owned businesses links for your city/state and SHARE. On Sept 10, 2017, 19-year-old Kenneka Jenkins was found frozen to death inside the freezer of the Crowne Plaza Hotel in Rosemont, Il following a party she attended there. As devastating as her death has been, it occurred under the most bizarre circumstances we’ve seen in quite a while. Although there has been much speculation about what happened to her (which won’t be covered today), the purpose of this article is to highlight the most extraordinary display of unity as people came together for a common cause – to seek answers. Oftentimes, when blacks are reported in the media, it’s because they were killed by either law enforcement, gang violence, or other means. But this story wasn’t of much media interest because in the days after Kenneka Jenkin’s death, people came together to support her mother, Teresa Martin. Ms. Martin’s attempts to find out what happened to her daughter were initially met with indifference. She was eventually offered a viewing of videos that showed her daughter staggering (apparently intoxicated) down a hallway, then off an elevator, and finally into a kitchen. What the videos did not show was her child entering the freezer. She asked for that video and was again met with silence. Several Chicago activists (Sheena M. James, Lamon Reccord, Jedidiah Brown, and Natorah El) stepped in to aid the grieving mother. As each day passed, the crowds became a little bigger—30 became a hundred, and so on. Facebook Live views for these activists were in the double-digits as thousands of people around the country (and the world) responded and tuned in. Monday through Thursday I tuned into various Facebook Live feeds of the protests. They chanted “No justice no peace, this hotel won’t get no sleep’, ‘Justice for Kenneka’, ’21 hours and a coverup’, ‘If we don’t get it (tapes), SHUT IT DOWN’, etc. They blew whistles and banged on pots and pans. They were there to stay. It was organized and efficient. After viewing the live feeds each day, it was hard not to see the camaraderie and cohesiveness of the protesters gain momentum. Each day they began with a pre-protest update of the previous night’s events and let people know what was accomplished as well as the problems that arose. In the evening, several people recorded live feeds of the protest in front of the Crowne Plaza Hotel. Eventually (as with many protests) people were arrested. A “jail fund” was set up to aid them which, led to the last daily update taking place at the police station as they informed us who had been arrested (staying there until they bailed them out). The comments and encouragement sparked a movement- whose togetherness morphed into an event unlike anything I’ve seen before. It was the passion and commitment to the mother that literally moved people all over the country to action. Facebook consistently shut down some of the feeds and suspended Ms. Martin’s (the mother) and Mr. Brown’s access to their pages (Ms. Martin’s was later restored). Each night, the protests were peaceful and orderly. To keep streets clear and traffic flowing, arrests were made of anyone who stepped onto the street. As the group of supporters sat in the Rosemont Police Department, they said that their motto was “We’re not leaving anyone behind.” On one of those nights an elderly white man named Jack was bailed out. The police injured Jack’s arm and he was taken to the hospital before the group could bail him out. When asked why he was there he said, “I’ve been doing this for over 50 years and I’ll never stop.” Then he said, “I’ll be back tomorrow.” Jack was there the next day- to the delight of the viewers who wrote in large letters “WE LOVE YOU JACK! !” Throughout all of this, the media was silent. I found it strange that hundreds of people protesting in upscale suburban Rosemont and against an upscale hotel was met with complete silence from the media. Black people weren’t looting and burning things so I guess it was a slow night. There was, however, a documentary photographer there (Jon Lowenstein) to capture events as they unfolded. Toward the middle of the week Jedidiah Brown announced that on Friday they expected a large group – people coming from around the country- to support Ms. Martin’s quest for the complete videos of her daughter entering the freezer. Friday arrived and something amazing happened — people from all over the country really did gather in Rosemont Illinois. People of every race, age, and religion came to support Teresa Martin. Ethan (a tall white gentle giant (who was later arrested) took a Greyhound bus from Georgia. There were people from Joliet, IL, Wisconsin, Indiana, Mississippi, New York, Boston, and California. Among the crowd was a woman of short stature with her hair in a short afro wearing a purple tee-shirt with face of Kenneka Jenkins. She was giving a hug to every person she came in contact with- thanking them for coming. Teresa Martin has been a bulwark during her personal tragic loss. Having just undergone a double-mastectomy just days before her daughter Kenneka went missing, she has consistently been in Rosemont daily demanding the full and complete video footage of her daughter’s last minutes of life. Also, on Friday as massive crowds of people (1800+) arrived and took to the streets, law enforcement became aggressive and violent. One protester was violently thrown to the ground and arrested. Activists went to the police station to check on his condition and to ask that the young man receive medical care. The officers -once polite/helpful – were now belligerent and aggressive and threatened Mr. Brown and the other activists with arrest for disturbing the peace. To say the source of my initial unease (regarding Friday’s expected crowd) became a self-fulfilling prophesy is an understatement. I say that because anyone who knows that when massive amounts of money, power, and privilege are at stake, the outcomes for the average person is shaky at best. This was a different kind of ‘protest’. It wasn’t about race. It wasn’t an obvious murder (it’s officially a death investigation). It wasn’t even local(located in a Chicago suburb). This was about a Chicago mother whose daughter died in a sadly disturbing and as yet, unanswered way – and people all over the country responded by physically showing up. They donated time, air fare, places to stay, rides, food/drink, and their voices. Sadly, whenever a demonstration moves to the highest (and peaceful) degree and, whenever there is such a strong, true/genuine cohesiveness of ‘the people’ (meaning ALL people), destruction is never far behind. It would take a book to go deep into the events that unfolded within the Martin camp but allegations were made against the activists by the mother via Facebook about the funds, the mother pulled away from their aid -leaving in her wake devastated men and women who stood with her just hours before. Why? Because within activism are pockets of division and within the black community itself breads negativity. To read the comments in some of these feeds was disheartening to say the least. Apparently another activist (who was not associated with this group) was responsible for creating the division that brought the movement to an end. Friday was a pivotal day for Chicago and the country. People proved that it is possible to come together for a common cause. They went to Rosemont and shut it down- not an easy feat by any means. But sadly, by Saturday, there were clearly signs that something poisonous had entered the mix and by Sunday, it fell completely apart. All unfolding like a made-for-TV series on Facebook Live. My heart breaks for the Teresa Martin’s unimaginable loss and it’s important to note that she has yet to bury her child and truly grieve. She did state that no one told her about the ‘jail fund” but in fairness I heard several activists mention it several times and they always stated that she personally OK’d it. It is said that whenever money involved, bad things can happen and in this case, it certainly did. At any rate, the allegations have left everyone with questions and confusion and, has caused a cavernous rift within the community of activists. The movement is over and in it’s place is a standard protest (Jedidiah Brown and the others are no longer present). I checked Facebook today and there are only a handful of people there- seemingly less than the crowd last week when protests first began. It’s a huge step backwards. But like this case, we will have to wait and see what unfolds in the days ahead. Hopefully we’ll get a picture of what really happened to destroy what was becoming a movement representative of the strength, respect, love, support, and a quest for truth by ALL the people. How ironic is that? These powerful words used to give me chills and fill me with pride. They are supposed to represent the binding glue of the United States and yet, they have failed to do so for every citizen. The truth of the matter is that this country was “formed” by white people and for white people and, black and brown citizens were deemed collateral damage because they were never meant to reap the benefits of citizenship. History has a way of repeating itself and the truth is that there is an underbelly of power that feeds the beast of systemic racism, classism, and greed in this country. It was established for the 1 percenters. Because of that, it is time for a CALL TO ACTION. Black people have been sleep in this country for so long that, now that they are ‘waking up’, they are focusing on all the wrong things. We’ve had the “black and proud” movements already. We know that we come from kings and queens. We know we’re not lazy and looking for handouts. We know that we once had a ‘Black Wall Street’. Name it and I guarantee you, we’ve lauded it all over social media. But… we are still ‘sleep’ because we are NOT focusing on the real issues. We are still ‘sleep’ because we have been lulled into a sense of complacency. We have block upon block of vacant lots— businesses, apartments, and homes just… GONE. We have “food deserts” (no grocery stores within a ½ mile-1 mile). Trains are parking their guns in our neighborhoods. Those are just the tip of the iceberg. We don’t truly believe we can rise above our circumstances as a people because we still feel the weight of Jim Crow’s boot upon our necks. It’s time to wake up and send the loudest clap-back America has ever seen or heard. The ONLY way we can do that is DRAIN THE POLITICAL SWAMP as much as humanly possible. How? 1. Remove dead weight from office. This includes aldermen, judges, mayors, governors, state representative, senators, and anyone else who has power and influence over our welfare. We have major elections (including gubernatorial) coming up in 2018 and a mayoral race in 2019. It is CRITICAL that we are prepared to hit the polls. 2. REGISTER AND VOTE. Too many of us have thrown in the towel because we think the system is rigged. Of course, it is!! But guess what… it won’t stand a chance of being fixed if we refuse to vote. You are part of the problem, believe it or not. d. Distribute that information within the black/brown communities. This can be done via social media, flyers, mail, email, schools, workplace, etc. 5. Create ‘Petitions of Intent’ to put our political officers on notice that future elections will no longer be ‘status quo’. We will no longer toe the line to ANY party line. We will examine their track records and determine whether or not they are worthy to be re-elected. We will no longer except the cronyism that has plagued our governments (local, city, state, & federal). They will be put on notice that the black vote is no longer a ‘sure thing’ within the Democratic party and that does NOT guarantee the Republicans a vote either. When they began receiving these petitions, they will finally understand how serious we are. If they are progressively doing a great job we let them know that too. Either way, they will know that someone is watching them. We DO HAVE POWER. WE DO HAVE RIGHTS. 7. STOP SPREADING FAKE NEWS. There is nothing worse than sharing information that you have NOT vetted. Because reliable media outlets already have a credibility issue, we make it worse by not verifying what we share. Not only that, you are actively supporting (and allowing to spread) fake news. This is damaging to the wrongs we are trying to correct, it’s distracting because it incites conversations about things that AREN’T EVEN TRUE (a total WASTE of time), and it also makes us look ignorant, lazy, and uninformed. As soon as you state, “I don’t know if this is true but I’m posting anyway”, you have already created a credibility problem for yourself. 9. Teach our children NOW about finances and the importance of saving, building businesses, and creating wealth. 10. We must create more businesses for ourselves. 13. We must become financially responsible- we’re making liquor stores, dance clubs, fashion labels, and entertainers incredibly rich and that money is not coming back into the black community. 14. We must actively begin to move liquor stores OUT of our neighborhoods. There are 2-3 stores on every major block in our communities- it’s heartbreaking. You will NOT find that in white or Asian neighborhoods. If you want alcohol in those areas, you will need to go to a Binny’s or a grocery store. These liquor stores are NOT even owned by blacks. Why do we allow them to pepper our blocks with them? 16. We must bring the Village back. This country is depending upon us to no longer be supportive of each other. 17. 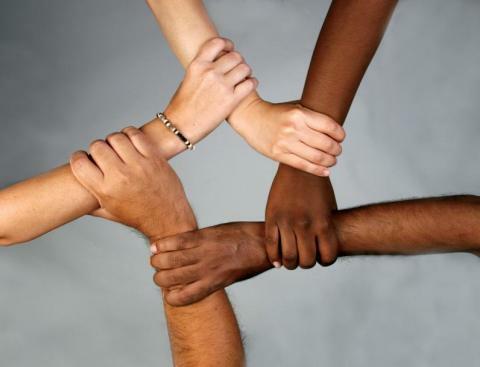 Build the bridge of cooperation with our white brothers and sisters. This is not only a race problem, it is a class problem as well. There IS enough prosperity for every citizen in this country. But make no mistake, black/browns are still behind the eight ball. We must all work together to drain the swamp. 18. Get out of la-la land: let’s stop pretending that our lives are so good that these issues can’t possibly be affecting us. We can no longer afford to be passive bystanders to our own demise. The sooner we realize the system is imploding upon us, the sooner we’ll feel liberated in taking decisive action- together! Donald Trump’s half-hearted reading of his ‘statement’ a few days ago regarding the riots in Charlottesville, VA and, his subsequent statement at the infrastructure news conference, was a clear message that he doesn’t care about the violence nor the state of racial relationships in this country. David Duke’s attack on Trump confirms that he is complicit in fanning the racist ideologies of the people who put him in the White House. Everything he says or does from this point forward is meaningless and has no bearing on the pressure that we, the black people, must put on every thread of government to ensure our rights are protected, our children are safe, and our livelihoods thrive as well as anyone else’s in this country. You want to be ‘woke’? Then it’s time for us to roll up our collective sleeves and get to work. *NOT intended to replace the preamble of the United States Constitution. These are suggestions to begin the conversation in a constructive manner. Admittedly, I haven’t kept abreast of the news in the past 2 weeks so I was shocked when someone told me to turn the TV on and watch the riots in Baltimore. 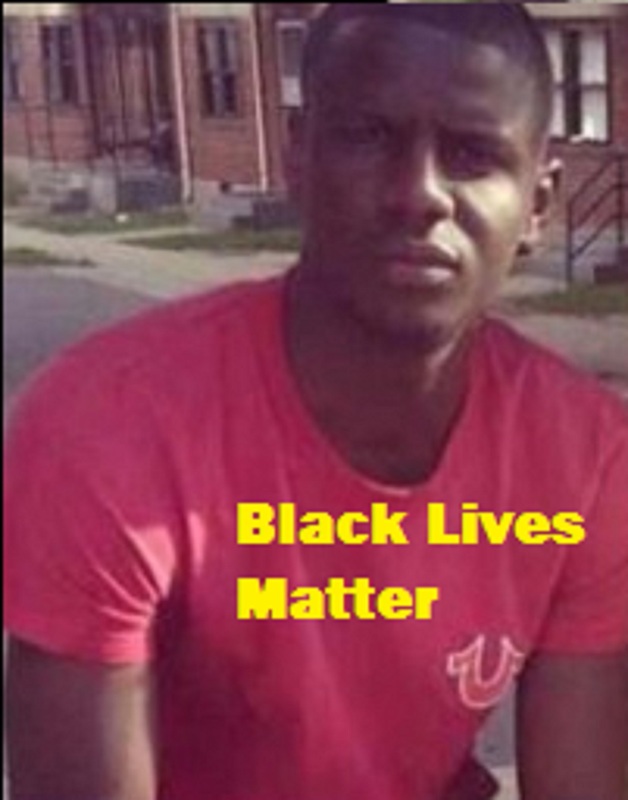 25-year-old Freddie Gray died from injuries he suffered while under police custody and some of the protests morphed into riots. So once again we have a case of a young black male detained, brutalized, and murdered by police officers. We have another situation in which protests are necessary to demand justice in a system that holds no value to the human lives of black people. Our anger is valid and completely justified. It’s a deeply rooted anger that owes no apologies and demands justice. Yet, instead of protesting and bringing attention to the atrocities, there are some who have chosen to lash out in anger and burn down or loot businesses that serve their neighborhoods. It sounds very revolutionary, militant, and reminiscent of the days of Angela Davis and Huey Newton but the reality is that violence only begets more of the same. It doesn’t effect change. 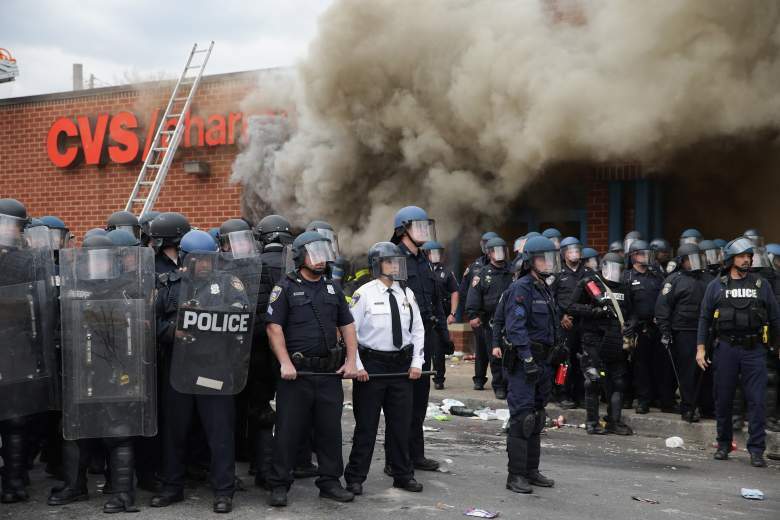 The anger that has bubbled over in Baltimore and all over America is not about Freddie Gray. It’s about a system of racism that has infested the very heart of the black community. The police have no respect for blacks but the problem isn’t them. The problem is at the top. The officials who continue to cover up and protect rogue cops. The commissioners, district attorneys, mayors, and others who refuse to do the job they were elected to do- serve and PROTECT their constituents. The problem is us– the ones who continue to vote blindly (and that includes along party and racial lines) to keep these people in office. Why should they care? What message have we the people clearly given them at the polls? Why work harder and with integrity when they know that they will either run unopposed in the next election or voters will punch “Democratic” or “Republican” regardless of their level of service? Instead of educating ourselves on how the government works and finding out who to put pressure on, we sit back and wait for Freddie Gray to happen so that we can jump on our laurels and protest on Facebook and other social media. We want heads to literally roll and would rather burn down viable and needed businesses in our own backyards than to figure out how we can individually and collectively make a difference. What did burning down a neighborhood CVS pharmacy do to help the community? It removed a convenient location that your 70-year-old neighbor walked to for her medication. That’s what it did. You see, not everyone has a car. The bus stop is not always within walking distance for an elderly or otherwise physical restricted person. Sure, something will eventually take its place but how will that help those who need it now? Will the masked young men who are out there rioting and protesting knock on her door and offer a ride to the next closest pharmacy? Yes, I’m angry but how can we be “heard” or taken seriously when we’re burning and looting our own communities? Why does every protest have to be violent and distracting? Sure, it gets attention but who really hears us? It’s easy for us to debate this on Facebook and other social media from the safety of our keyboards. We need to come together and effect REAL CHANGE. The stark reality is that this will die down eventually–just as it did with Trayvon Martin, Rekia Boyd, Michael Brown, and the countless others before and since them. Another young man is dead—dying a painful and brutal death. Let’s find a way to use that to get him justice. Burning down the city is not the answer. Huey Newton had no room for God while he was running the Panthers but even he finally had to say: “As far as I am concerned, when all of the questions are not answered, when the extraordinary is not explained, when the unknown is not known, then there is room for God because the unexplained and the unknown is God.” Violence is not the answer- Martin Luther King taught us that and he influenced change. When the dust settles from this riot all that will be left are more abandoned structures and lost businesses – in black neighborhoods—and NO solutions. Angry people fight. Angry thinkers find ways to change it. Let’s find a way to change the tide and stop throwing gasoline on everything. The goal is to not sweep the victims under a rug as just another news story. People are dying for no reason. They mattered because it could you or me tomorrow. The goal is to make us think about our individual roles in how we can make a difference to stop the violence as it pertains to our own close-knit circles and, what we can do to help change the tide. Let’s stop ignoring the signs we DO see. The goal is to put a spot light on law enforcement’s unnecessary violence and killing of our Black men– in terms of racial profiling. The goal is to stop denying that racism exists and acknowledge the “elephant in the room” that unfortunately, our white friends sometimes won’t admit. That being said, this blog will NOT be a tool to tear down Blacks and paint Whites as racist. Racism exists in this country and will probably be around beyond my lifetime. I am a Black woman who cares about the plight of my people and who is tired of seeing anyone being brutalized and murdered. I am a Black woman who has loving relationships with white friends. I am a Black woman who spent 10 years of my life with—and married to—a White man. I am a Black woman who has a Black son who has been the victim of police brutality and harassment, has been shot at, and actually shot by a child who didn’t know why he did it! I am a woman who is Black. I am a woman who has experienced violence first hand and this blog is to say enough is enough. My logo is black, white, and red for a reason. Why? It’s because we look different on the outside but the same red color courses through our veins. The Civil rights act didn’t become successful until ALL people—regardless of color—stood up and said enough is enough. This blog asks the question: is that you?